Among the many things I love about cabi, their devotion to women empowerment continues to astonish me. 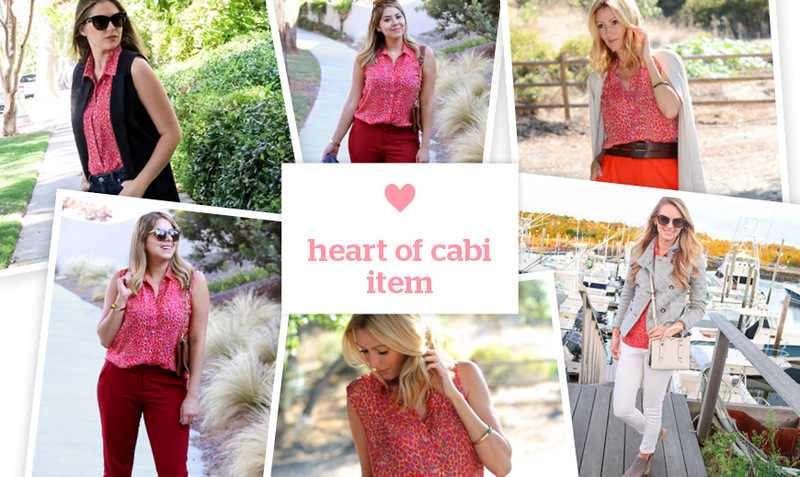 For over eleven years, The Heart of cabi Foundation has given over $45 million in clothing distributed to women in need, 7,600 in small business loans funded and has impacted 60 countries! Every season cabi designs one piece in their collection that when sold, a portion of the net proceeds goes to foundation's wonderful efforts. This season that piece is this Heartbreaker top that I'm wearing below! 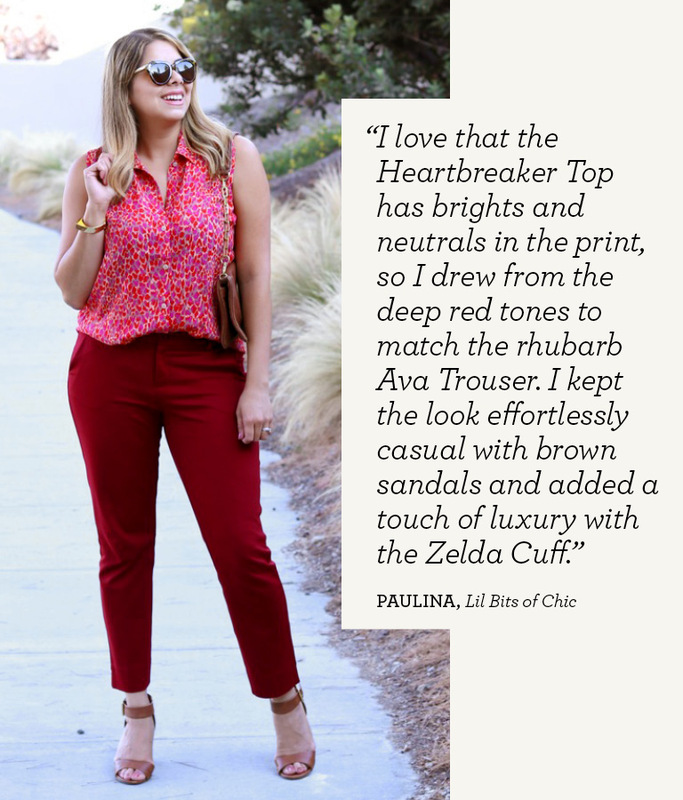 cabi has featured me and three other fabulous bloggers styling this top where each of us gives it our own spin, so there's a total of 4 outfit ideas where the Heartbreaker top is the star - see the feature here! Love the color pairing and great look for the office. 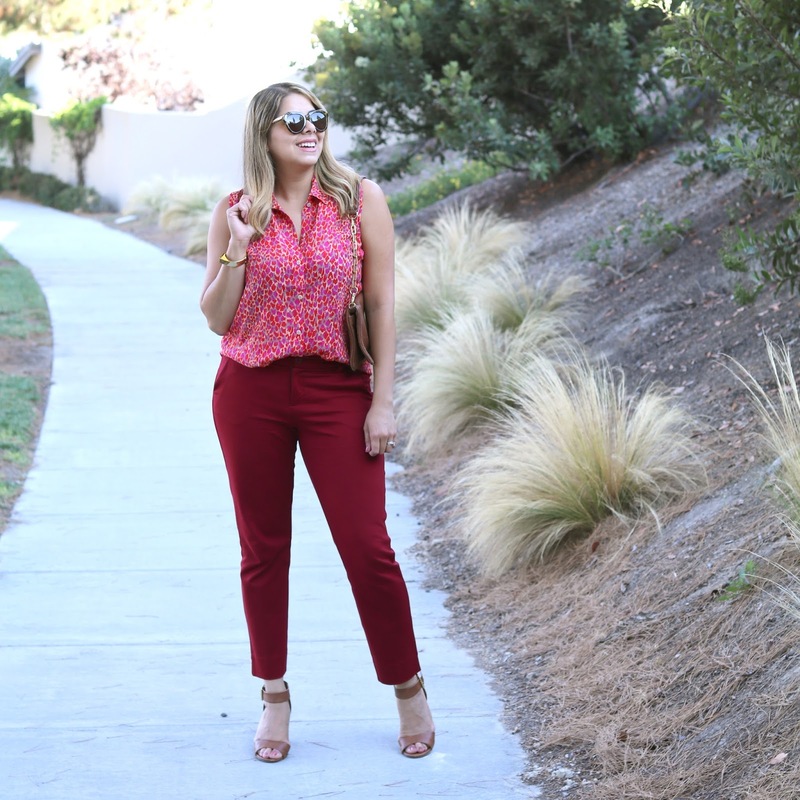 Gorgeous look, I like the color of your pants, the blouse is so cute! Yes! Love items for a good cause. Thanks! This top is perfect amiga! Love how you incorporated burgundy! What I wore in Latina Magazine!